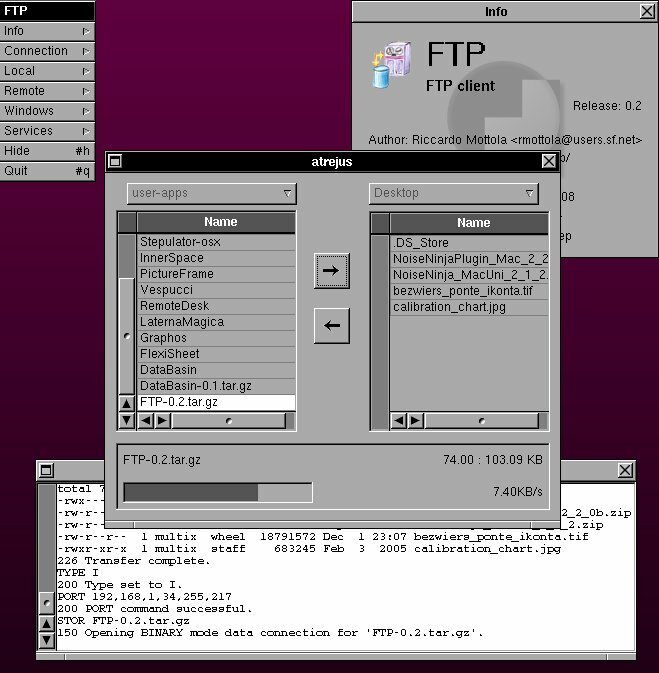 FTP is a file transfer application (RFC 765) featuring a compact and easy interface with two panes (local and remote). As most applications in GAP it tries to work on both GNUstep and MacOS X and retain the utmost possible simlilarity among the two version to ease working in both environments. FTP supports different port arbitration modes: "default", standard "PORT" (also known as active) and standard "PASV" (also known as passive).